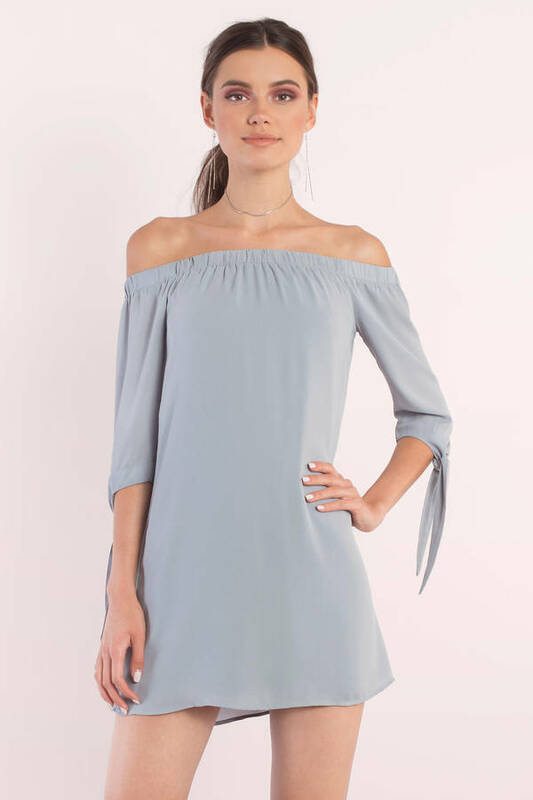 Check out Tobi's Jeanie Off Shoulder Shift Dress Meeting the parents never looked so easy--we gotcha in this chic mini dress. The Black Jeanie Off Shoulder Shift Dress features lovely 3/4 sleeves finished with adorable ties for something extra sweet. 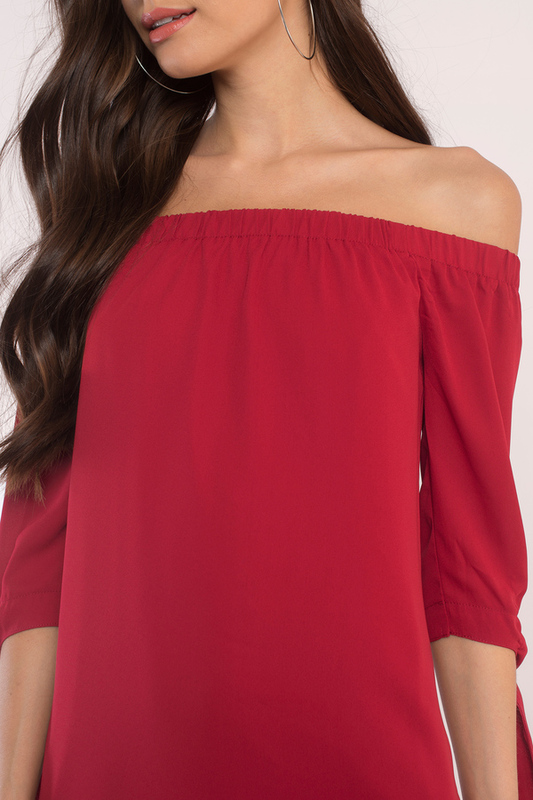 In this bardot dress, you've got our stamp of approval. Meeting the parents never looked so easy--we gotcha in this chic mini dress. 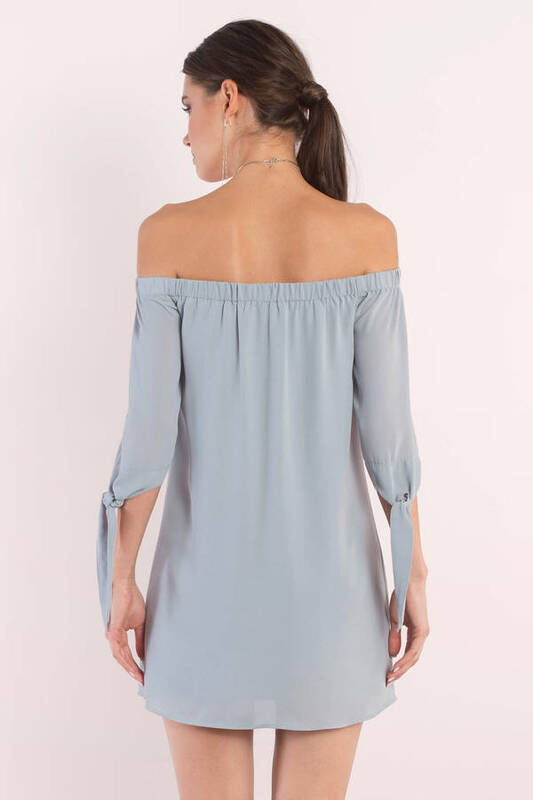 The Vintage Blue Jeanie Off Shoulder Shift Dress features lovely 3/4 sleeves finished with adorable ties for something extra sweet. 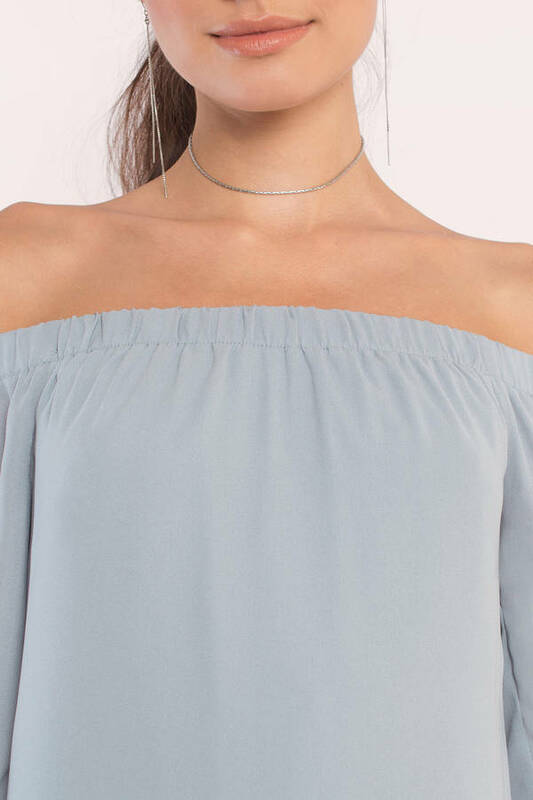 In this bardot dress, you've got our stamp of approval. Meeting the parents never looked so easy--we gotcha in this chic mini dress. The Black Jeanie Off Shoulder Shift Dress features lovely 3/4 sleeves finished with adorable ties for something extra sweet. In this bardot dress, you've got our stamp of approval. Meeting the parents never looked so easy--we gotcha in this chic mini dress. 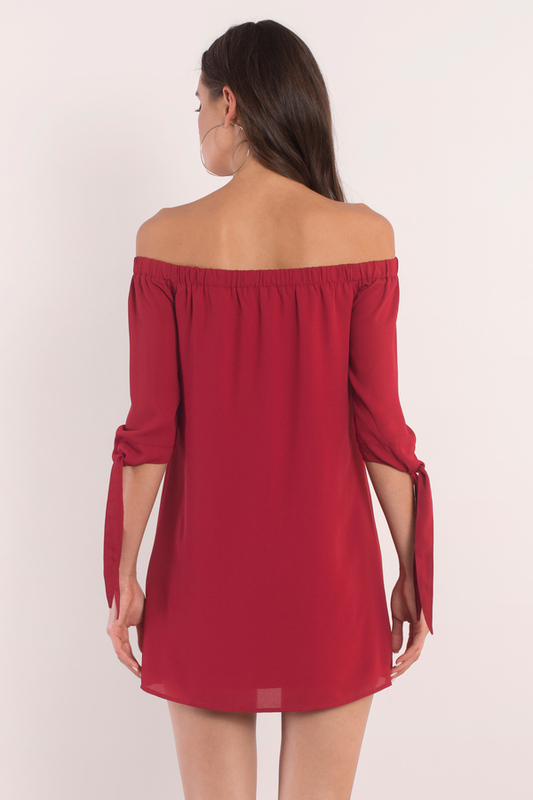 The Red Jeanie Off Shoulder Shift Dress features lovely 3/4 sleeves finished with adorable ties for something extra sweet. In this bardot dress, you've got our stamp of approval. Vintage Blue, Red modeled on a size Small.